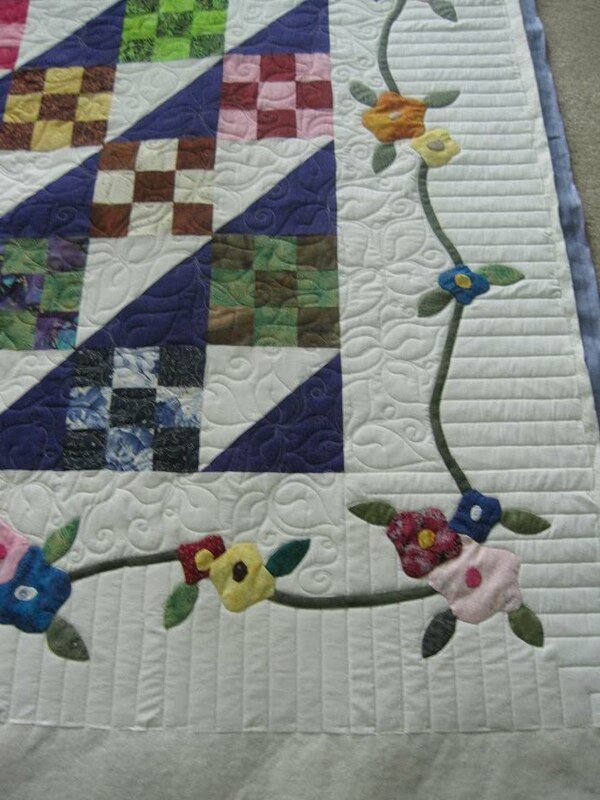 This beautiful applique quilt is from a new customer named Shirley. I love the scrappy patchwork with with the applique border. I stitched around all of the applique, but actually did no stitch in the ditch. 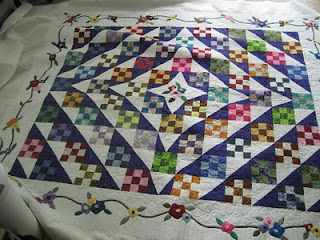 I know, it's shocking, but I can quilt without doing stitch in the ditch! Since the applique does a full ring around the border I did Piano Keys on the outside of the border and my leaf background file on the inside. So it is like Border to Border, but in this case it is Applique to Applique. 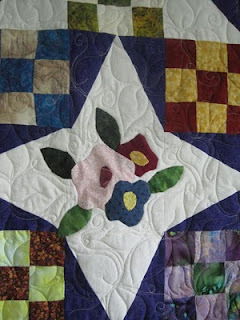 I also stitched around the applique in the center of the quilt. I love the shape of the star that is made by the piecing in the center. 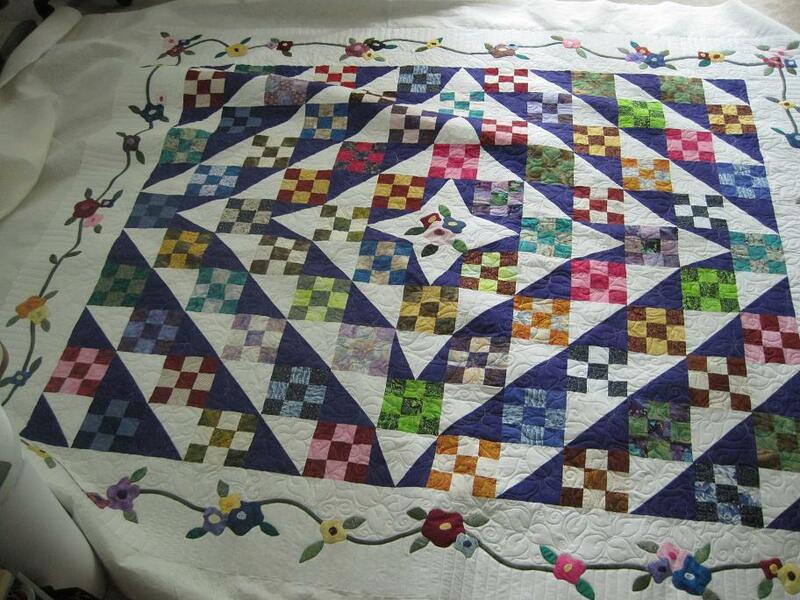 I love the way the borders look on this quilt. Thanks for letting me work on your quilt, Shirley! Fun At the CLA Show!! !